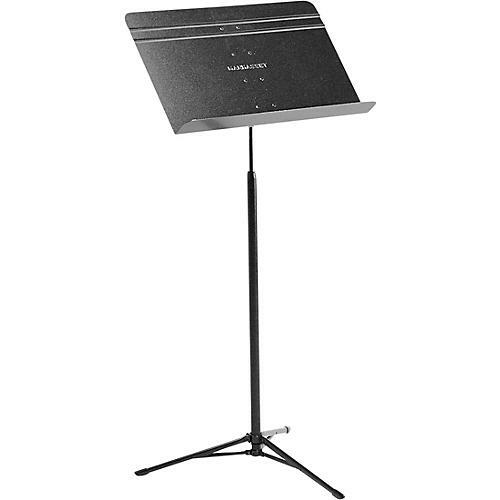 For years, traveling musicians have tried to find the stability of the Manhasset stands in a portable, folding stand. The Model 52C Voyager Concertina Stand is the perfect answer to that request. Its lever-locking mechanism allows for easy assembly and removal of the desk. Specially designed for use while sitting. With a vertical extension of 16" to 28" (lip to floor) and a maximum overall height of 40-1/2", it is ideal for stage bands, guitarists, cellists, chamber ensembles, and other seated musicians. The MANHASSET SPECIALTY COMPANY warranties its stands and stand carts against defects in materials and workmanship for a period of ten years from the original date of purchase. The MANHASSET SPECIALTY COMPANY warranties all of its accessory products against defects in materials and workmanship for a period of five-years from the original date of purchase. Vertical extension: 16 in. to 28 in. (lip to floor) with a maximum overall height of 40-1/2 in. Vertical extension: 16" to 28" (lip to floor) with a maximum overall height of 40-1/2".